Pure Passion. While most people swim in mediocrity, often due to some false sense of humility, Jordan focused on winning. His work ethic could be described as just enjoying what he did more than everyone else. If Jordan worked an ordinary 9-5 job he would be just as lazy and complacent as the other 99% of people. Earned. 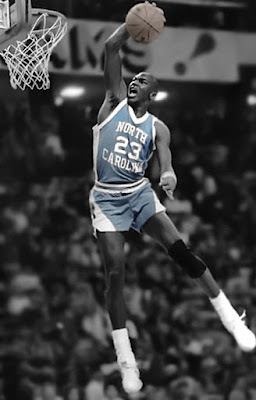 Jordan wasn’t a guy with high status growing up in Wilmington, NC. But that just drove him to prove himself. As a result he outworked everyone else. Uncompromised. Jordan’s success with Nike was about his performance on the court. While players now often get shoe deals before they start playing and underperform as a result, Jordan was more committed to excellence than anyone and demanded the same from his teammates. How many of us focus on why we can’t achieve our dreams rather than commit fully to fulfilling them? We are easily discouraged by even a single comment when someone “disapproves” of our ambitions. The difference between average people and Michael Jordan is that we seek to meet others’ expectations. Jordan sought to exceed his own expectations and prove everybody wrong. Was Jordan trying to be the next Dr. J, the next Magic Johnson? Neither, he was focused on being the best Michael Jordan he could be. Besides, I doubt Dr. J or Magic would have given up basketball stardom to sleep in a cheap motel with a minor league baseball team. From his work ethic on the court to the Jordan brand itself, his dedication is unmatched. Conclusion. While most of us tuck our tails and hide when life gets hard, Jordan is more resilient, more committed, more confident, and attacks his goals with tenacity. Michael Jordan is not successful because he is nicer than others and he is not successful because of the false humility that most of us have. His success comes from focus. He never lets the opinions of others distract him. In fact those opinions just motivate him so he can prove you wrong.